"As I moved, the lattice struts made different shapes – for example, just a few steps would change my view from that of a star to that of an arrow or triangles. 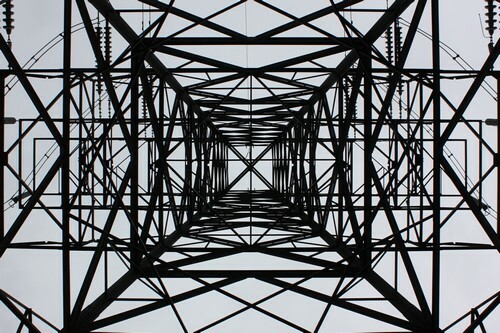 The same applies as you stand inside a pylon and look up – as you sway from side to side the bars line up, then come apart, moving from symmetry to chaos. I took these shots in order to demonstrate what happens when you get up close and interact with a pylon, and how you can affect the view it gives you."